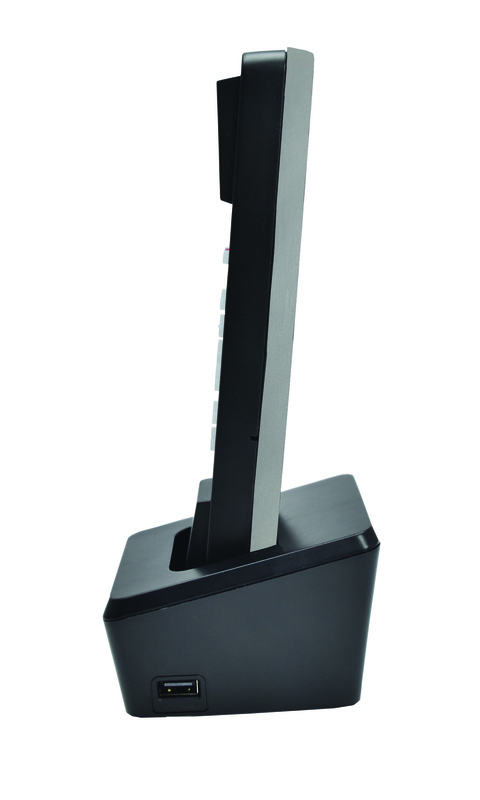 Teledex E Series USB desk and RediDock remote handsets are now available in brushed silver metallic. Add some bling throughout your properties with Teledex E Series Brushed Silver Metallic Edition phones. ​Available at no additional cost and without minimum quantity requirements, E Series desk sets and RediDock silver remote cordless handsets are designed to match the color and textures of contemporary smart devices and fixtures in your guest rooms. Choose single or 2-line analog, VoIP, corded, or cordless configurations with or without built-in USB charging ports. Click here to request a quotation for your next property renovation or new construction project. Hilton St. Louis At The Ballpark hits a home run with E Series. Hilton St. Louis At The Ballpark installs 347 Teledex E Series E103 cordless hotel phones. Hilton St. Louis At The Ballpark, located at 1 South Broadway, Saint Louis, has purchased 347 Teledex E Series E103 cordless hotel phones through Cetis reseller partner Viyu Network Solutions. ​Hilton St. Louis at the Ballpark is a vibrant hotel near Busch Stadium. Situated in the heart of downtown and only 20 minutes from Lambert-St. Louis International Airport (STL), the hotel is right next to Ballpark Village, within 100 yards of Busch Stadium and footsteps from the iconic St. Louis Gateway Arch. Experience stunning infield and arch views from your guest room, and enjoy sports, dining, and entertainment at Ballpark Village. To book reservations, call +1-314-421-1776, or visit the hotel website. Click here to request a quotation for Cetis telephones your next property renovation or new construction project. Some hotel guests aren't bringing smart devices. But most guests are bringing multiple smart devices into the guest room. Help your guests re-charge smart devices inside the guest room with Teledex E Series USB phones, or USB Series universal charging stations. USB charging ports are conveniently located for guests to charge devices from either side of the nightstand or desk. Boston Marriott Newton adds TeleMatrix 9600 Series. Boston Marriott Newton purchases 440 TeleMatrix 9600MWD cordless speakerphones. The Boston Marriott Newton hotel, located at 2345 Commonwealth Avenue in Newton, MA, has purchased 440 new TeleMatrix 9600 Series analog cordless telephones through Cetis distribution partner, Earthbend. The Boston Marriott Newton features contemporary rooms and suites overlooking the Charles River close to popular attractions including Boston College and Brandeis University. Click here to book reservations, or call +1.617.969.1000. Click here to view Cetis telephone model selection guides, or to request a quotation for your next property renovation or new construction project. Are your hotel phones ready for business? ​Click here to request a quotation for your next property renovation or new construction project.